The pre-demonetisation consultation process has been shrouded in secrecy, much to the angst of opposition and experts. However, recently the RBI has revealed certain details regarding the consultation process preceding note ban and clarified that its recommendation came hours before Prime Minister Modi’s announcement. An RTI plea, on the hand, seeking minutes of the demonetisation meetings has been rejected. Responding to an RTI application seeking details regarding the consultation and recommendation process before demonetisation was announced, the RBI said, "The recommendation was made in the meeting of the Central Board of Directors of the Reserve Bank of India held in New Delhi on November 8, 2016." It was further informed that only eight of the 10 board members had attended the meet. Apart from RBI Governor Urjit Patel and Economic Affairs Secretary Shashi Kanta Das, RBI Deputy Governors R Gandhi and SS Mundra, Nachiket M Mor, the country director for the Bill and Melinda Gates Foundation; Bharat Narotam Doshi, former chairman of Mahindra and Mahindra Financial Services Limited; former Gujarat chief secretary Sudhir Mankad, and financial services secretary Anjuly Chib Duggal were present in the meet, as per the information revealed in response to the RTI. While the government has put at rest the doubts that the RBI was not consulted before the announcement of demonetisation was made, the mist has only been partly cleared. On November 8 briefing, the government had assertively told the media that there was ‘no need to go into the process which led to this decision’. While it has partly deviated from the stance, the authorities are yet reluctant to share more details. RTI activist Venkatesh Nayak of the Commonwealth Human Rights Initiative had filed an RTI application seeking copies of the minutes of all board meetings of the RBI from the date on which the recommendation to demonetise the Rs. 1,000 and Rs. 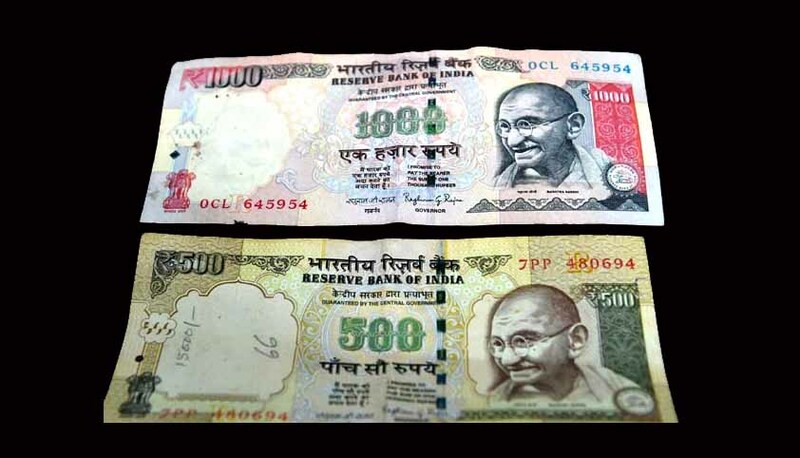 500 currency notes was taken. He had also asked for all communication sent in this regard to the government, representations received from any person or organisation suggesting demonetisation and all file notings on this subject. The plea was, however, rejected. The RBI refused access to its board meeting minutes and recommendations made to the government and related file notings citing Section 8(1)(a) of the RTI Act. Section 7(9) was cited to reject plea seeking details on representations received from the public, saying that the information cannot be provided as it would lead to disproportionate diversion of resources of the organisation. He filed another RTI application with the DEA on November 14, seeking copies of the cabinet note that was approved by the Union cabinet regarding the decision to demonetise currency notes of Rs. 1,000 and Rs. 500 denomination. Almost 40 days since, the CPIO, DEA has not responded to the query. He filed an appeal with the first appellate authority of the DEA. Nayak, however, said the response was expected as “the decision to maintain undue secrecy about the demonetisation appears to be sanctioned at the highest level of the bureaucracy in that department”. He expressed dissatisfaction with the CPIO’s response and denial of information under Section 8(1)(a) which is applicable of following eight grounds- sovereignty and territorial integrity, strategic, scientific, economic, security and defence interests of the state, relations with foreign states and incitement to an offence. With respect to the CPIO’s decision in denying access to representations received from the public under Section 7(9), he said that it was unlawful as information can be denied only under Sections 8 and 9. He observed that Section 7(9) is a facilitating clause under which information must be provided in the form in which it was sought unless there is disproportionate diversion of resources or danger to the safety and preservation of the record. He highlighted the fact that RBI had proactively uploaded minutes of the meeting of the committee on monetary policy on the official website, whereas it is withholding information regarding the demonetisation meet. He questioned the intention behind the secrecy and said that it is apparent that both the government and the RBI have a sufficient reason to hide this vital information. “When the DEA and RBI want every citizen of the country to come clean (in the name of combating black money, corruption and fake currency notes), their reluctance to become equally transparent and accountable is unjustified, to the say the very least,” said Nayak. Read the RTI reply here.